His real name was Harry Severns, but he went by and is known still today as Harry Tracy. To many, he was a lot worse than John Wesley Hardin. And yes, certainly worse than Billy the Kid and Jesse James. Some say he was Satan himself. Yes, the Devil in human form. On July 3rd, 1902, The Seattle Daily Times wrote, "In all the criminal lore of the country there is no record equal to that of Harry Tracy for cold-blooded nerve, desperation and thirst for crime. Jesse James, compared with Tracy, is a Sunday school teacher." His date of birth is put at October 23rd, 1875. And while some like to call him an outlaw in the Old West, the "Last of the Hole in the Wall Gang," and talk about him as if he were just an ordinary Old West outlaw, they misrepresent the truth evil that he was. He is said to have run with Butch Cassidy, and by the time he'd reached adulthood he was actively taking part in acts of robbery and theft. But as many who've read about him know that he was a killer who enjoyed killing. His first known murder was done on March 1st, 1898, when Tracy and three accomplices engaged in a gunfight at Brown's Park Colorado. In that gunfight, Posseman Valentine S. Hoy was killed. V. S. Hoy was a well respected cattle rancher and a posse was eager to find the man who killed him. Browns Park was originally known as Brown's Hole. It's an isolated mountain valley along the Green River in Moffat County, Colorado and Daggett County, Utah. As early as the 1870s, the area had gotten the reputation of being a haven for cattle rustlers, horse thieves, and outlaws, the same as Hole-in-the-Wall in Wyoming and Robbers Roost in Utah. During it's heyday, it's said that the outlaws at the time actually had an ethic that allowed for most "outlaw deeds" with the exception of murder. After the Brown's Park killing of Posseman Hoy, Tracy and his partner-in-crime David Merrill were captured in Routt County, Colorado. Then in June of 1898, both escaped from the Routt County Jail. And yes, some say Tracy beat the sheriff on his way out. Harry Tracy married the sister of his crime partner David Merrill's. Her name was Rose and not much is known about her. No one knows if they had a child together. So from 1898-1899, Tracy and Merrill committed numerous robberies in downtown Portland, including saloons, banks, trolley cars, a drug store and other various businesses. In most of those felonies, they were known to have bound and gagged their victims at gunpoint. In 1901, they were recaptured. Tracy went to trial and was convicted of the murder of Posseman Hoy and sent to the Oregon State Penitentiary. Then a little over a year later, on June 9th, 1902, with fellow convict and brother-in-law David Merrill, they escaped. 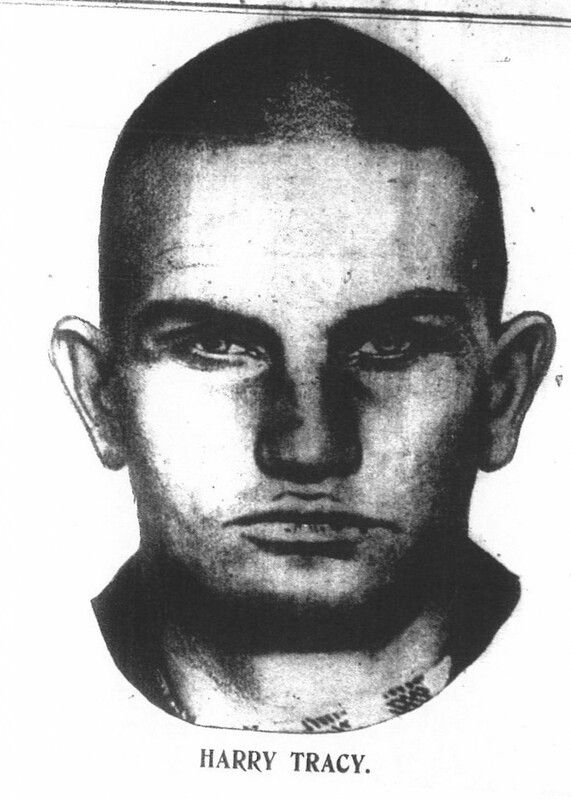 On his way out of the Oregon State Penitentiary, Tracy killed Corrections Officers Thurston Jones Sr., Bailey Tiffany, and Frank Ferrell, along with three civilians. Their escape made headlines in newspapers of the time. And yes, the size and scope of the manhunt was unprecedented. In fact, it was the largest manhunt of the early 20th century. It was the most intense and electrifying manhunt in the Pacific Northwest. In the days following the escape, the two head north, stealing horses, food and clothing along the way. Tracy and Merrill traveled over fifty miles to Portland. From there, the two men rowed by boat across the Columbia River into Vancouver, Washington. Vancouver Sheriff John Marsh was already alerted and had formed a posse of over 60 men to hunt for the escapees. 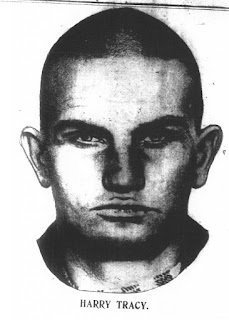 On June 16th, Deputy Bert Biesecker and posseman Luther Davidson were positioned along the Salmon Creek about seven miles from the Washington state line when they spotted the two escapees just after dusk. After a stand off and trading gunfire, Tracy once again demonstrated his ability to get away. On June 28th, an argument broke out between Tracy and his brother-in-law David Merrill. Some say Tracy suggested a duel. Others say Tracy simply shot his brother-in-law in the back of the head and went on with his business. Merrill's dead body was found later. About now you're thinking, he sounds like a bad hombre but not as bad as some. So what makes me say he was the Devil incarnate? Well, it has to do with what he did in July of 1902. You see, unlike most prison escapees who want to get as far away from the law as possible, that wasn't the case for Harry Tracy. In fact, he did the opposite and actually set up an ambush just to kill more lawmen. Yes, it's true, on July 3rd, 1902, he set up an ambush near Bothell, Washington. It was there that he surprised and killed City of Everett Police Detective Charles Raymond and wounded King County Sheriff Deputy John Williams. Detective Charles Raymond was one of six lawmen shot and killed by Tracy. Detective Raymond had served with the City of Everett Police Department for ten years and was survived by his wife and five children. It's said Deputy Williams suffered physically and mentally from the trauma of the incident. He is said to have committed suicide later as a result of what took place at that ambush. After his ambush of the two lawmen, Harry Tracy fled the scene and invaded a house where he took the occupants as hostages. He is also known to have ate dinner while contemplating killing them all. As Tracy was leaving the house, he encountered other lawmen and soon started shooting. In that shootout, Tracy killed Seattle Police Officer Enoch Breece and Posseman Neil Rowley of the King County Sheriff's Department. On August 3rd, Tracy came upon a ranch located in Creston, which was owned by brothers Lou and Gene Eddy. He was there for a few days when Harry Tracy's rein of terror came to a halt on August 6th, 1902. That was the day when lawmen had him cornered in a wheat field in Creston, Washington. He was shot in the leg during an ambush by a posse from Lincoln County. Knowing that Tracy was seriously wounded in the leg, Sheriff Gardner had the field that Tracy had crawled into surrounded. Knowing that there was no way out and a hanging was waiting for him, Harry Tracy committed suicide by shooting himself with his 30-30 rifle to avoid capture. A $4,000 reward was paid to the wheat farmers. It is said that souvenir seekers descended on him and tore clothes from his remains, ripped hair from his scalp, and someone even stole his shoes. Harry Tracy's body was returned to Salem where it was buried in lime outside the prison walls. His burial spot is now unknown, as nobody knows for sure where his remains are. Harry Tracy was tracked down by posse after posse, Sheriffs and City Police, for 58 days. Yes, he killed without hesitation. He was 27 when he died, and was responsible for the deaths of 7 lawmen who left behind 6 wives and 19 children. He is also known to have killed at least 5 civilians and his crime partner. As for the rest of his story, well some have tried to say he was brave and cunning, a master at eluding the law. For me, I see Harry Tracy as just another murderer who died a coward. Yes, too afraid to face a judge and jury. Too afraid of walk up thirteen steps to dance on the end of a hangman's noose.